Tashkent, the capital city of Uzbekistan, will receive a second international airport. The decree to that effect was signed by the country’s president, Shavkat Mirziyoyev. The airport will be built on the premises of Taskent-Vostochny airfield, which currently serves military, cargo, and experimantal aviation. Plans to expand the existing international airport, Tashkent Islam Karimov, have been abandoned over public protests. The initiative to build a second airport was proposed by the national carrier Uzbekistan Airways, whom Mirziyoyev has appointed as the project manager. The project has been approved by Uzbekistan’s state committee for architecture and construction and by the administration of Tashkent Region. The project involves repairing the runway, as well as constructing a new apron and taxiways. The future passenger terminal has yet to be designed. Uzbekistan Airways has been tasked with developing the terminal project and coordinating it with government experts. Construction will progress in parallel with the elaboration of associated project documentation until February 1, 2018. The military transport aviation unit currently stationed at the airfield will relocate to a different base. 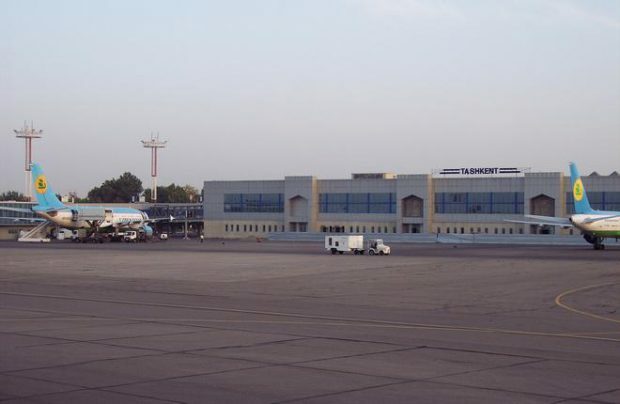 The project to expand Islam Karimov Airport, which has now been put on hold, called for building an international terminal, Tashkent 4, with a total area of 87,000 square meters and an annual throughput capacity of 5.7 million passengers (1,500 passengers per hour), UzReport newswire reports. It was approved by the president in February 2017. The project was expected to be co-funded by Korea International Cooperation Agency, which allocated a grant for the purpose. The new decree reads that the project was suspended because it required demolishing houses and commercial buildings, which spurred protests among the local population. The new plan for Islam Karimov calls for the reconstruction of the old domestic terminal, which will be converted to serve international flights. No details have been provided on the project’s timeline or budget. Islam Karimov is home to Uzbekistan Airways. It has two runways and two terminals, domestic (Tashkent 2) and international (Tashkent 3). The latest traffic data available from open sources indicates that the airport served 2.996 million passengers uin 2012. Tashkent-Vostochny is located outside city limits. It used to serve as the factory airfield to Tashkent’s Chkalov Aviation Production Association, currently Tashkent Mechanical Plant.